By shortening the steel products supply chain, we provide you with the highest efficiency and least amount of lead time and waste. The payoff is the lowest cost metal solution, including metal stamping, coil processing, laser cutting and metal fabrication, of the highest quality from a metal supplier serving the Bloomer, Chippewa Falls and Eau Claire areas. 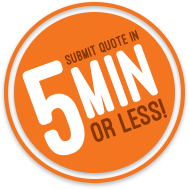 With our easy 3 step process, getting a metal quote from PMI is quick and easy! Metal supplier that can shrink your supply chain and reduce lead times without sacrificing quality. Enjoy your job and get a full range of benefits. Signed, steeled, and delivered. PMI LLC is committed to achieving sustained profitable growth for its employees, management, and ownership through continuous improvement of our quality objectives and providing products and services which consistently exceed our customers' expectations. See how the PMI advantage can work for you, from providing metal stamping to coil processing and laser cutting. 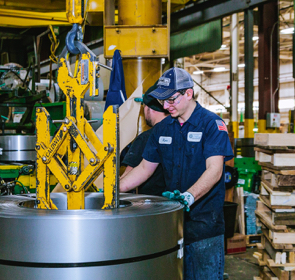 We'll help you achieve your manufacturing goals.